WASHINGTON — The US Air Force is pushing back on reports the Pentagon's top weapons tester is planning to pit the F-35 joint strike fighter against the legacy A-10 Warthog for comparative testing, arguing such an exercise would be irrelevant in light of the new jet's capability. "I think that would be a silly exercise," Air Force Chief of Staff Gen. Mark Welsh said Monday during a press conference at the Pentagon when asked about the reports, adding that he is unaware of plans for any comparative testing between the two aircraft. The F-35 will be able to perform high-threat close-air support in contested environments the A-10 could never survive, Welsh told reporters, although he noted the aircraft won't be fully operational until 2021 and beyond. The fighter jet is designed "with the entire battlespace in mind" — it is equipped with advanced stealth, integrated avionics and an integrated sensor package, which will provide the pilot enhanced situational awareness, said F-35 Joint Program Office spokesman Joe DellaVedova. The plane has proven its ability to conduct close-air support missions at night and during the day, according to DellaVedova. During exercises, the aircraft was able to receive targets from terminal air controllers on the ground, and then attack and prosecute targets in a timely manner, he said. Still, Welsh noted the Air Force never intended to use the multi-role fighter jet as a direct replacement for the A-10, which is a single-mission platform dedicated to close-in attack. "The idea that the F-35 is going to walk in this door next year when it [reaches initial operational capability] and take over for the A-10 is just silly," Welsh said. "It has never been our intent and we've never said that, so that's not a plan." Welsh said he would like to see an A-10 replacement, often referred to as A-X, that can perform the low-threat CAS mission even better than the legacy Warthog. Service officials have recently indicated a notional A-X might be in the works. The Air Force has been trying to retire the aging A-10 for several years to save money — as much as $4.2 billion over the next five years. However, defenders of the program, including several prominent members of Congress, accuse the Air Force of abandoning troops on the ground by retiring the plane without a dedicated CAS replacement. 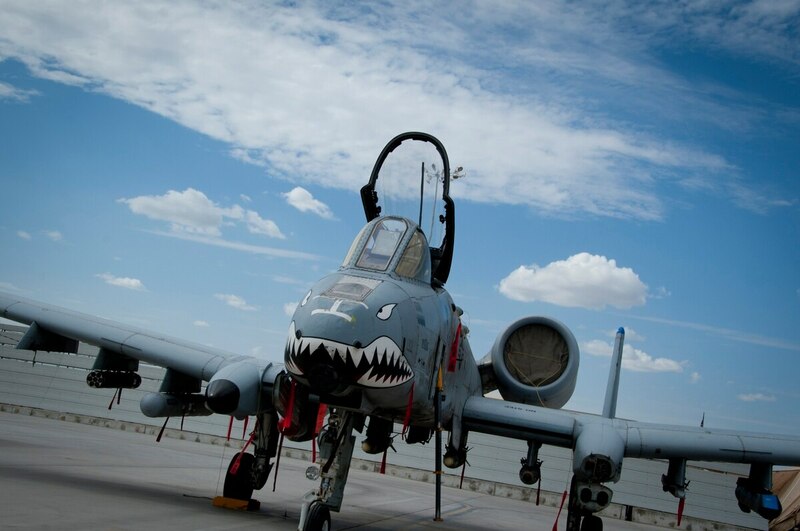 Given the tight budget environment, retiring the A-10 is a crucial step in the Air Force's plans to modernize its fleet, Secretary Deborah Lee James said during the press conference. "If we had billions and billions and billions of additional dollars over the President's Budget level — and I'll remind you we are struggling to get the President's Budget level approved — but if we had billions more we would love to maintain the A-10," James said. "But in a budget-constrained environment, this is one of the tough choices that we had to make for the sake of moving forward and modernizing."